Peeking over the dunes and past the river towards the vast expanse of sand that is Bordeira. At low tide this beach stretches for around 3km up the coast. 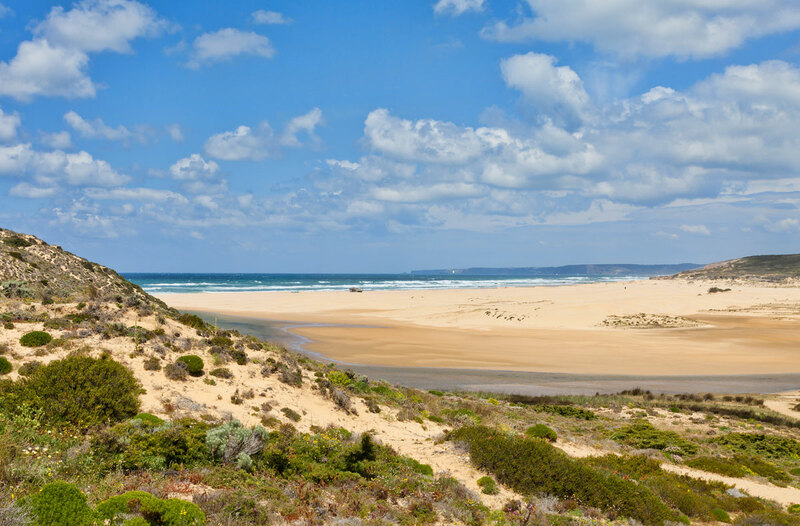 This is the exposed west coast of the Algarve and has a much wilder feel than around the corner. Instead of cliffs there are sand dunes and the waves here are far bigger and more powerful.